Are you a female high school senior or adult resident of Fort Bend County who is planning to pursue higher education? If so, you may qualify for assistance through the Fort Bend Junior Service League (FBJSL) scholarship program. Each year, the FBJSL awards up to four $1,000 Volunteer Scholarships and one $2,000 New Beginnings Scholarship. The Volunteer Scholarships are awarded to female high school seniors in Fort Bend County who have demonstrated outstanding achievement in volunteerism and community service. Recipients must have completed at least 100 hours of high school community service, have a minimum GPA of 2.5, and plan to attend an accredited two or four year college or university. The New Beginnings Scholarship is offered to help Fort Bend County females improve their career opportunities by furthering their education. Recipients must have been accepted into an accredited college, university, or vocational school after having taken a break in their education and establish financial need. Qualified applicants can learn more about these scholarships and obtain a copy of the applications by visiting the FBJSL’s website at www.fbjsl.org. Applications and supporting documentation will be accepted from December 1, 2018 until February 1, 2019. 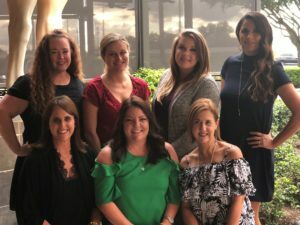 The FBJSL is a non-profit organization of women committed to promoting volunteerism, to developing the potential of women and to improving the Fort Bend County community through the effective action and leadership of trained volunteers. Our purpose is exclusively educational and charitable as well as providing an atmosphere of friendliness, goodwill and camaraderie for all members.